Afrin is good! But is it too good? Hey there. We are a family of six. You know what that means? It means that when one of us gets sick, that sickness is bound to be passed around from family member to family member. It's tough when one of the kids get sick. We try to make them as comfortable as possible and hope that the wife and I do not get sick. More often than not, we do get sick. My wife usually gets the worst of it. I'll get sick, but will only feel the stuffy nose and what not for a day or so. My wife, on the other hand, will the effects for days if not weeks. Anyways, a stuffy nose is the worst! You simply can't breathe and it can get frustrating. That's when the wife and I usually reach for our Afrin nose spray. My wife more so than I. She would spray the moment her nose felt stuffy. I would say that she was using too much but it seemed to work for her and she always stopped using Afrin the moment the stuffy nose went away. Big deal, right? Well... today, I found out that you can actually get addicted to nose sprays. In particular, Afrin! 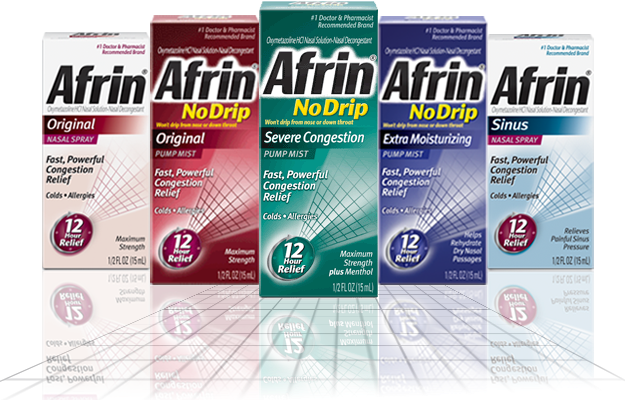 Afrin addiction is something that never crossed my mind. But now that I think of it... I can see why. We've all had a stuffy nose and when we can't breathe it's extremely frustrating. 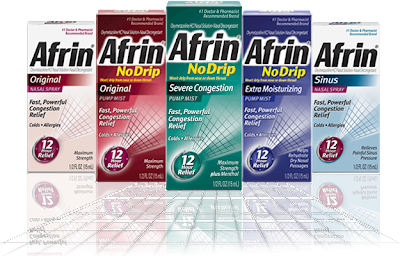 I can see someone that is so frustrated with their congested nose that they will reach out for an Afrin bottle for relief. I mean, I've used it. Afrin is good. It works! But that's the problem. It works too well. The warning on the bottle clearly states not to use it for more than 3 consecutive days. The reason being that if used for more than 3 consecutive days, you can begin to develop rebound congestion. Rebound congestion is swelling in your nose due to continuous use of nose sprays. And guess what... using a nose spray can temporarily relieve rebound congestion! This is how people end up in a viscous cycle of continued use of Afrin and other effective nasal sprays. Thinking back, I remember there were times where times my wife wouldn't go to bed without her Afrin bottle by the bed side. She would complain of a stuffy nose and I'm beginning to wonder if maybe she had rebound congestion, we just didn't know that was what it was. The good thing is that we haven't had the need to use nasal sprays in quite some time but it's definitely good to know that there is a possibility of getting addicted to it! So did you guys know that there are Afrin addicts out there? Have you heard of any stories of how they got addicted or how they kicked the habit? I'm curious to know! Later! Lots of my friends and family are getting seasonal allergies. I suggest Afrin to them.